We have been planning a great local Hudson Valley Cheese & Wine event at Aroma Thyme Bistro. And we have no reservations yet. Many of you have said it was an awesome idea. So that is why we are puzzled. 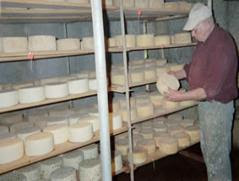 The Hudson Valley is home to some great artisanal & homestead cheesemakers. We have rounded these producers up and offer many of these cheeses at Aroma Thyme. Most of these cheeses have national and international awards & recognition. Yes, cheese from our valley is being honored internationally. This event is a great chance to learn more about cheese that is produced in our backyard. 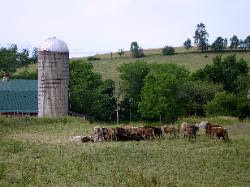 Learn first hand from the owner & cheesemaker, Matthew from Twin Maple Farms. He will be your cheese guide for the event. Learn what makes our cheeses so different and famous. The Hudson Valley is the oldest wine region in the United States. And wow are there some great producers in our back yard. We are the Napa Valley of the East Coast. And we are pairing these wines at our Hudson Valley event. Yancey from Whitecliff Vineyards will be your wine guide for the event. We have been amazed at the high quality wines in our valley and can guarantee you will be as well. Are you concerned about our economy? Did you know that buying local makes a huge impact for everyone. And the Hudson Valley has an incredible reputation for agriculture. Our Hudson Valley Wine & Cheese event will showcase the best of the best. When you go to a restaurant or market you can increase demand for our local bounty by asking for local. With so many wines & cheeses this event will familiarize you with the names. You will ask yourself is there any reason to ship cheese from Italy and use valuable resources. We are not saying that Italian cheese should not be eaten, but it is best enjoyed while touring the Tuscan countryside. World famous restaurants in NYC and beyond are taking advantage of Hudson Valley agriculture. You name them, the big chefs all agree! With 400 years of history our valley is world famous.